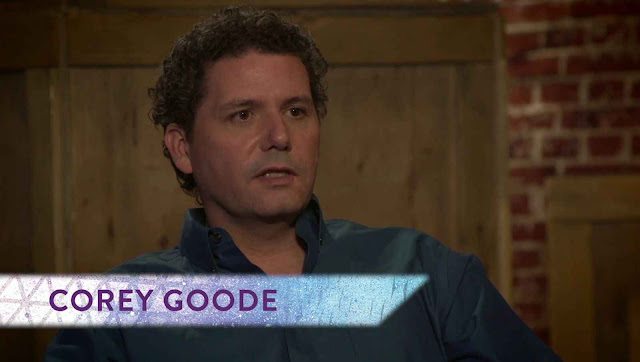 Up until this point, we have heard some extraordinary accounts from Corey Goode and numerous other researchers and whistleblowers in the Cosmic Disclosure series. These accounts have been astounding with regard to content and the implications this content brings to our everyday lives. To learn about these concepts has been impactful for many of us. However, very little could prepare us for the amount of implication brought to us in this particular episode. Many of us are familiar with the Law of One as being a staple in one's journey for understanding our earthly situation—in both ancient and present times. This is a highly respected text which has a way of coherently connecting all major religions with the parallel concepts among them all. It also holds numerous scientifically verifiable principles, many of which were not even known in mainstream science at the time the Law of One text was transcribed. Along with these exceptional qualities, the Law of One holds yet another feature which we may have missed until this point. As it turns out, the Law of One text has astonishing parallels which disclosed the existence of the Secret Space Program decades before we ever knew these programs existed. In fact, the detail within these passages is so remarkable that it may be difficult for some to believe their origin. However, this level of verification is very unlikely to be disproved in any logical way. 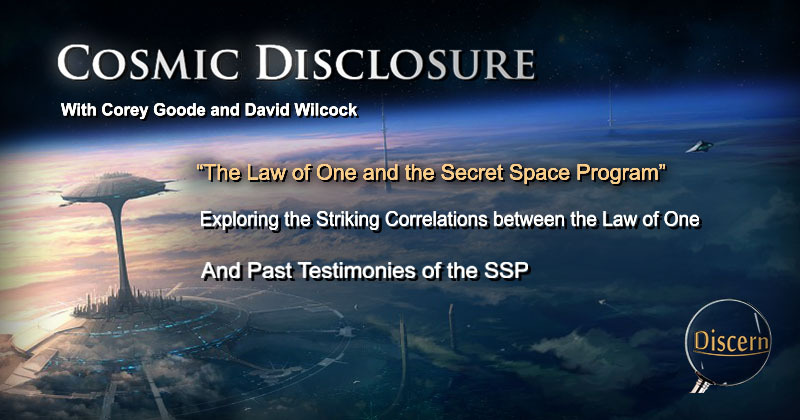 David Wilcock: All right, welcome to “Cosmic Disclosure”. I'm your host, David Wilcock, and in this episode we're going to start verifying some of the things that Corey has been telling us with empirical data. And there are various ways this has been coming in. We did some episodes of William Henry talking about ancient art work and how it shows Blue Spheres, it shows Blue Avians. We've got a new whistleblower, William Tompkins, who's come forward and validates many of the things Corey's saying. And now, also, we have The Law of One material, which has some unbelievable pay-offs of everything you've been hearing in this show. David: Since what we're about to discuss is going to be really mind-blowing for most people, the amount of correlation that's in The Law of One to what you personally encountered in your job, let's just talk about did they know about The Law of One in the Space Program, and if so, what was their opinion about it? Corey: Yes, The Law of One was definitely known about. And certain individuals were required to read it. I was told that it was negative material and stay away from it. Stay away for it. Corey: And I did. I stayed away from it. I think in the early 2000s it was online, and I scrolled through and looked at a little bit of it, and that was the extent of it. But I never dug in and read it because I was somewhat programmed that it was, you know, something to stay away from. David: Now, there were other people who we spoke to as whistleblowers who independently verified that as well, that they knew about The Law of One and the Secret Space Program. It's a common factor. Corey: And if you recall that was one of the questions that one of the SSP Alliance asked Raw Tear Eir is, “Are you the . . .
Corey: “I am Raw Tear Eir.” That is just all he said back. 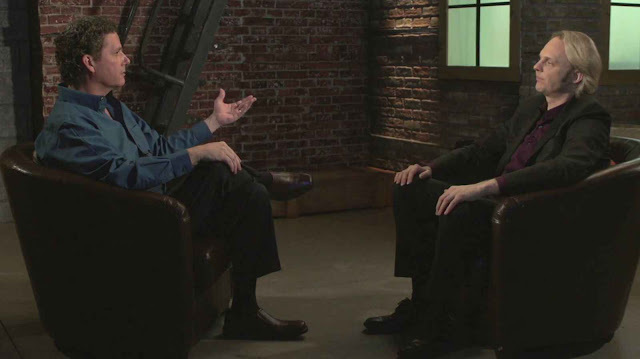 David: So, in this episode, we're going to be getting into a deleted piece of material – there was an entire session, Session 8, that came through on January 26, 1981. That whole session was deleted from The Law of One because Dr. Don Elkins, the guy asking the questions, didn't know that this was possible. So the people in the Space Program haven't seen this either. This only came out on the website a few years ago. It was actually in Book Five. I correct myself. It was in Book Five as of 1998. That's the first time anybody ever saw it. Now you can read it online. Okay, so check this out. Let's read some things here. 8.2 Questioner: [Yesterday you said] “There is a certain amount of landing taking place. My first question is what did you mean by the landings are of your peoples? Ra:... Your peoples have, at this time/space present, the technological achievement, if you would call it that, of being able to create and fly the shape and type of craft known to you as unidentified flying objects. Unfortunately for the social memory complex vibratory rate of your peoples, these devices are not intended for the service of mankind, but for potential destructive use. This further muddles the vibratory nexus of your social memory complex. [This causes] a situation whereby neither those oriented towards serving others nor those oriented towards serving self can gain the energy/ power which opens the gates to intelligent infinity for the social memory complex. So what they're really saying here is the Ascension is confused by the Space Program. It's not like they're doing . . . They're not doing themselves a favor. They're not doing us a favor, because they're not sharing the technology. Corey: Right. The technology that could help us progress. David: But you say now this Alliance does want the technology to come forward. Corey: Absolutely. Their goal is to bring the technology to all of humanity no matter their race or creed or religion at the same time. David: And you can see, Corey, from this that they're saying if that technology was released, it would have a very positive effect on the Ascension process. Corey: It would be a different world. This in turn causes the harvest to be small. So that's pretty shocking right there. It's just saying we've been so compromised, the number of people who have become loving enough to graduate is not that big. Okay, now we going to really get into the details of this, and it's quite stunning how much this validates everything that you've said. 8.3 Questioner: Are these craft that are of our peoples from what we call planes that are not incarnate at this time? Ra: . . . These of which we spoke are of third density and are part of the so-called military complex of various of your peoples' societal divisions or structures. David: Isn't that amazing though? The wording that they use: military complex. So they are saying this is physical people building unidentified flying objects. And remember mainstream UFO study back in 1981 when this was done, nobody was on to this yet. What was the state of the Space Program in 1981? Corey: In 1981, that was the beginning of Solar Warden. Solar Warden was just beginning to really get started. But there were other programs that had already started before World War II that were well, well-developed. David: But there were plenty of unidentified flying objects by 1981 . . .
David: . . . in the military complex. We have heard corroboration from numerous sources throughout the series. We heard William Tompkins and his experience in the beginnings of Solar Warden. We have heard Dr. Bob Wood who also had experience in classified and sensitive engineering programs at Douglas and other organizations. We had William Henry and the verification he brought to the discussion with Blue Avian beings in ancient art. These have been exceptionally interesting to hear. However, this level of corroboration from the Law of One text is in a category of its own. Up to this point, there has been quite a bit of backlash from some audience members who insisted that Corey Goode was telling stories and attempting to mislead people. Many of these people may even swear by the Law of One without knowing its actual contents. However, we see here numerous parallels which cannot go unacknowledged. There are only two possibilities that I see with regard to these parallels. Either Corey Goode is the greatest actor the world has ever seen, or these correlations are true to life. By appearances, Corey Goode seems to be a regular, laid-back and reserved guy who is also a deep thinker. Everyone around him including friends and family seem to react to this authenticity as we might expect in natural social situations. From his YouTube series, Goode Vlogs, it seems that everyone in his videos are authentic as well. From his wife to his kids and the friends and people we see at the various meetings he has attended, it seems that everyone is relaxed and natural. This leaves the possibilities that either everyone we have seen in all of his videos is an expert actor and knows exactly how to act authentically and naturally, or they actually are authentic and being their natural selves. In light of these observations, I would have to conclude that Goode is authentic as well. This means that the correlations we see between his own testimony and the Law of One are true to life, and worthy of serious consideration. No matter what perspective of the Law of One an individual may have—whether we appreciate it, dismiss it, fear it, or if we know nothing about it—the amount of validation it offers is definitely noteworthy. David: All right. Let's go on. They talk about bases. Listen to this. There are bases, as you would call them, undersea in your southern waters near the Bahamas as well as in your Pacific seas in various places close to your Chilean borders on the water. David: Now, you laughed when we said “Bahamas”. So how does this line up with anything you've heard? Corey: I saw maps of underwater naval bases in the Bahamas. David: Okay. In the Bahamas. And what about off the border of Chile, which is down closer to the bottom of South America? Corey: I know that there are bases down there that are military, but I don't know whose they are. They may be more of the German breakaway faction. David: Yeah. I would think so too, because they went to South America. So undersea bases, and then look at this. I mean unbelievable in 1981, January. There are bases upon your moon, as you call this satellite, which are at this time being reworked [January 1981]. Corey: Bases that are being reworked? David: On the Moon . . . by the military complex. Corey: “Bases that are being reworked.” Does that indicate that they occupied a base that wasn't theirs and are retooling it? David: Well, they don't explain that, but I think what they're saying here is there's a massive industrial expansion. 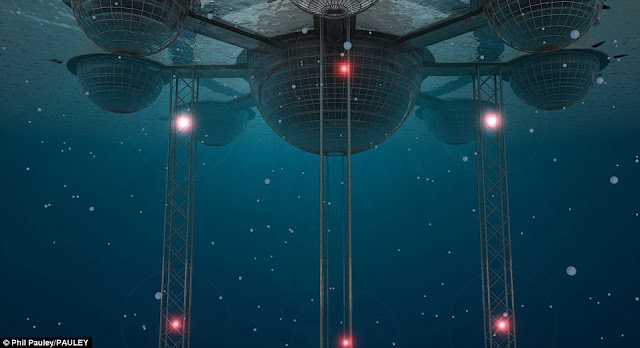 The idea of underwater bases is most interesting to consider, I find. This isn't because I know who lives there, or think of it only as a wonderful situation. They probably have their problems just like the rest of us. The reason I enjoy thinking about such a concept is because it's so unexpected to the average person. For the longest time, we—the general population—have been taught that we are alone in the universe. Then in more recent times, the mainstream media flipped and began to hint at the idea of life on other planets. Then—just as suddenly as the conversation started—the media told us that they were listening to alien messages from outer space. All of this time—from the cover-ups of past decades to the slow and arduous progression of soft disclosure—these ET and military operations were being undergone right under our noses. It's understandable why Dr. Don Elkins had such a difficult time digesting these proposals. They would be strange for anyone to hear for the first time. Considering the reaction of some to blindly accuse and dismiss Corey Goode, it is a given that a certain amount of reservation would exist, but eventually most people are able to normalize an idea in their minds (no matter how strange) so that there is not as much shock involved. David: Now, think about . . .
David: Think about what you said about the Lunar Operation Command. David: Right. Does your knowledge verify that there was some sort of major upgrade to the LOC . . .
David: . . . starting with the Reagan administration? Corey: Yes. And also the building of the Dark Fleet base. Corey: And there are several other smaller outposts that they don't really call bases. David: But that's just way beyond, you know, anything that people thought they knew at the time. There are bases which move about your lands. Now that probably means some kind of mobile vehicle thing like a drivable base. Would you say that there are things like that – bases that can be driven around like people working inside a truck or something like that? Corey: I know of mobile command centers. David: Okay. That's probably what they're talking about. There are bases, if you would call them that, in your skies. Corey: That's probably the same thing. Corey: Orbital platforms or command stations that are craft that will fly over certain areas, cloak and stay in position to monitor and relay telemetry. These are the bases of your peoples. [They are] very numerous and, as we have said, potentially destructive. David: So there again, they're talking about bases on the Moon. They're talking about orbital platforms, and they're saying these bases are very numerous. This is unbelievable. And as you see here in a second, the questioner totally balks on this. He can't handle it. 8.4 Questioner: Where do the people who operate these craft come from? Are they affiliated with any nation on Earth? What is the source? Corey: Yeah. We're all One. David: Yeah. They don't want you asking these kinds of questions, but now 30 years later, 35 years later, it becomes very important. As you intend the question, in its shallower aspect, these people are those in your and other-selves' governments responsible for what you would term national security. So once again, Don just couldn't believe that the Space Program existed as you now have told us it was there at the time, because there was no information in ufology about this. Corey: I don't think any information about the Secret Space Program really came out until, what was it, the '90s? David: Yeah, at least. Now, notice that it says “other governments”. So what do we know about the Global Galactic League of Nations? Do we know when that got started? Because they're already saying here that there were other governments involved in national security stuff in space as well. Corey: Well, they could be referring to that and that occurred in the '80s as well. Corey: But they may be referring also to the ICC, Interplanetary Corporate Conglomerate. They're made up of corporations based in many nations. David: Right. So now check out . . . He's really having trouble with this, especially the undersea bases. 8.5 Questioner: Am I to understand then that the United States has these craft in undersea bases? 8.6 Questioner: How did the United States learn of the technology to build these land [and sea bases and craft]? Ra:... There was a mind/body/spirit complex known to your people by the vibratory sound complex, Nikola. This entity departed the illusion and the papers containing the necessary understandings were taken by mind/body/spirit complexes [that means 'people'] serving your security of national divisional complex. So they are basically saying here that there was some kind of Tesla connection. Does that verify anything that you've heard on the inside? Corey: Well, yeah, Telsa in his electrical and electromagnetic research was way ahead of his time, and when he passed away, all of his information – it was documented – all of his information was taken away, made classified and put into the programs. But I had not heard that all of the technology was based on his research. I'd presumed that it would have been reversed alien technology or gifted alien technology. David: Hmm. But we certainly can see that if Tesla . . . If the eyewitness accounts of him having a flying disk are correct, that he would have had the capability . . .
David: . . . his papers would have had the capability to build the Solar Warden-type craft in the aftermath. Corey: They had enough scientists. David: All right. Well, let's go on here. Thus, your people became privy to the basic technology. So that gives us a window. 27 years is like 1953 or 1954, and what they're saying here is a benevolent extraterrestrial group contacted the Russians. Corey: That's right during the time frame also when a benevolent group came and contacted the United States military complex and warned them of the path they were taking and tried to give them assistance to deviate from it. David: And they talk about that in The Law of One. They talk about meeting with Eisenhower, offering him a peaceful plan and that he rejected the plan. So it's clear that they don't want to play favorites here. They gave it to both sides at once. Corey: Was this information out in . . .
David: No. There was nothing in the public about Russians getting UFO technology in 1953. Corey: There was no Internet or way to disseminate it. David: I've never been able to find any research that validates this, but, again, the Russians are competing with the U.S., so they're not going to share that this happened. David: But as we go on, we see that it did not work out well with the Russians either. The entities giving this information were in error, but we did many things at the end of this cycle in attempts to aid your harvest [ie Ascension] from which we learned the folly of certain types of aid. So, again, the Russians got the technology. They're not using it for peaceful purposes. They're creating weapons of war. Now, are you aware of the Russians having their own craft as well going far back in time like to the 1950s? David: Could you tell us a little more about that? Corey: They were developing their own programs based on information that they had gotten from [Project] Paperclip people. They were developing technology from all different sources. David: Including the Germans, as you said. Corey: Including the Germans. And they had developed several different type of spherical craft and a few others that they were already flying in the skies before the Americans really . . . They were ahead of us. Corey: And it was very concerning to the military factions of the early Secret Space Program. There was a lot of weird incidents that were making us have setbacks in our program that didn't make sense. We couldn't figure it out. We were having some problems like there was something going on that was preventing us from getting started as early as we could have. David: Well, it's interesting here that the Confederation gave them a boost in the hopes of creating a peaceful outcome. Corey: Yeah, it's . . .
David: They must have seen that the Russians were a counter-measure against the Cabal potentially. Corey: Is this a group associated with Ra or whatever? David: Yeah. The Confederation is their positive association of civilizations that are trying to promote Ascension and a benevolent outcome. Corey: That's definitely direct intervention. David: Yeah. And they screwed up, because the Russians took it the wrong way. That [these errors] is a contributing factor to our more cautious approach at this date, even as the need is power upon power greater, and your people's call is greater and greater. So this is why, also, they stopped landing and bringing people on board in person, like the benevolent ET stuff that happened in the 1950s with the positive contacts. They explain in here that they don't bring people up any more. But we do know the abductions stuff was happening and they definitely get into that. Okay, so he's still really having trouble with this. Check this out. 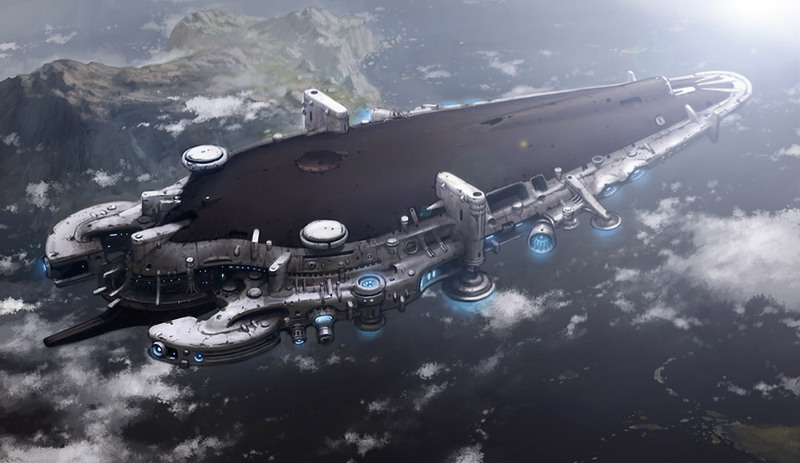 8.7 Questioner: I'm puzzled by these craft that we have undersea bases for . . .
Is this technology sufficient to overshadow all other armaments [on Earth]? 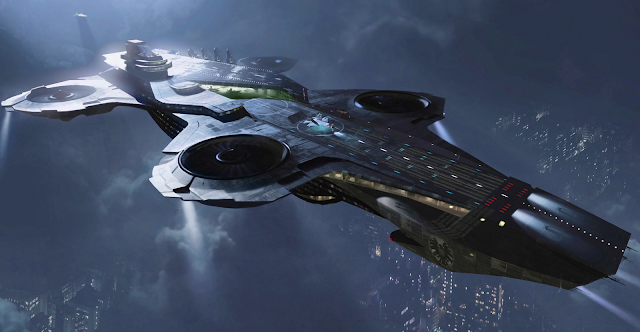 Do we have just the ability to fly in these craft or are there any weapons like there are . . . Were they given to us [inaudible] or are they just craft for transport? What is the basic mechanism of their [inaudible]? So he's really trying to find out now, is this a superior military force to anything on Earth. Now before we get the answer, what would you say? Corey: They are a breakaway technology. They're definitely weaponized craft. David: Right. And you've never seen this before, right? David: So you don't know what they're going to say, but it's the same thing. * It's really hard to believe is what I'm saying. He's having a lot of trouble with this. Corey: This person asking the questions, is he a UFO skeptic? David: It's Dr. Don Elkins who is a very well-read ufologist and a PhD physics professor who's been studying this stuff since the early 1950s and it's now in the 1980s. Ra:... The craft are perhaps misnamed in some instances. It would be more appropriate to consider them as weaponry. Would you say that this is accurate in terms of all the craft that our military-industrial complex was building had weapons systems on them in varying degrees? Corey: Not all, but most of them are what . . . are referred to as weapons systems. David: There you go. It's amazing. The energy used is that of the field of electromagnetic energy which polarizes the Earth sphere. So they're talking about electro-gravitics, I think. The weaponry is of two basic kinds: that which is called by your peoples psychotronic and that which is called by your peoples particle beam. David: Yes! And do you know what that is? Corey: I'm wondering if it has to do with what we've just discussed before the technologically-aided remote viewing and influencing used as a weapon? Corey: Is that what it is? 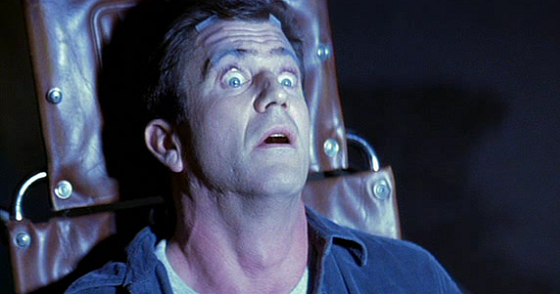 David: “Psychotronic” means electronics that interface with the mind. Corey: Whew! And many of the craft are bio-neural interfaced - the weapons systems. David: There you go. So what they're really saying here is 'psychotronics' mean technology that can control how people's minds work. Technology that can make people upset, that can make people anxious, create mass hysteria, that kind of stuff. Here it is in 1981. It's unbelievable. And particle beam technology. The amount of destruction which is contained in this technology is considerable. The weapons have been used in many cases to alter weather patterns and to enhance the vibratory change which engulfs your planet at this time. Corey: I was just about to ask if HAARP had anything to do with this. David: Now, you've got to understand . . . What does “vibratory change” really mean? They're talking about Earth changes. As the planet's vibration changes, you get volcanoes and earthquakes. So they're totally, in 1981, describing HAARP, weather modification and then also microwaving the fault lines to get earthquakes. Now, are you aware of their being HAARP-type technologies on these orbital platforms or spaceships? Could they do it from the spaceships? David: Okay. Now, I've never heard that before. That's why I want to do this live. Because I'm just throwing us in. I didn't know what you were going to say. Corey: Yes. They can . . .
David: It's not . . . Because most people think it's just satellite arrays on the surface of the Earth. Corey: They can cause localized weather events and they can cause earthquakes. They can cause molecular changes in structures to cause them to fail – catastrophic failures. Corey: There's a lot they can do from orbit. David: And it is interesting, if you've ever seen that movie with Mel Gibson called “Conspiracy Theory”. Right at the beginning of the movie they have this space shuttle in orbit beaming down stuff that changes the weather and controls people's minds at the beginning of the movie. David: This is just mind-blowing. It's right there. All this stuff that we talk about now in 1981 – way before anybody was talking about this. Now he's just still reeling from this. 8.8 Questioner: How have they been able to keep this a secret? Why aren't these craft in use for transport? Ra:... The governments of each of your societal division illusions desire to refrain from publicity so that the surprise may be retained in case of hostile action from what your peoples call enemies. So do you understand that? You look a little puzzled. Corey: I'm a little puzzled. David: The verbiage gets dense sometimes. David: What they're basically saying is that the governments of the world, including other governments, because remember, this is multiple governments, they're not going to tell us because they're worried about an alien invasion. They want to preserve the element of surprise. They don't want rogue alien groups to know that they have this technology – these bases on the Moon, under sea, orbital platforms, weaponized craft, so they have the element of surprise if they get invaded. Corey: But they already know. David: But there could be groups that didn't know. The excuses of the secretive SSP factions can be a significant point of frustration. These personnel give excuse after excuse as to why their secrecy is justified. We are told that we (the common people of Earth) can't handle the truth, that society would break down, or that they (the SSP) need the element of surprise to stop some invasion from outside the solar system. The reasons/excuses are not at all impressive in my view. The excuse of “necessary secrecy” has been used for nearly a century. However, this necessity has never once been justified. According to some sources, the War of the Worlds radio broadcast was a test to gauge human reaction to ETs, but if this was the case it seems that those who planned this broadcast deliberately intended to create a fearful reaction. In my view, those behind the concoction of the War of the Worlds broadcast wanted to send people into a panic. It was never their intention to reveal the truth, and they reasoned that the only way to ensure continued secrecy was to make sure that no one passed the test. So they devised a way to create the results they wanted, swept the whole situation under the rug, and lived out their lives in privilege, luxury, and fictitious superiority. Those in positions of power rarely give up those positions voluntarily. After a certain time period, they get comfortable and begin to see themselves as better than the rest of humanity. The excessively privileged can begin to see themselves as more deserving of the benefits of the technology and resources they typically horde. Eventually, these people can become just as much of a hindrance as those whom they once considered enemies. In our present situation, this seems to be the case. Corey: Yeah, the interlopers that come in. Corey: We have people come in that haven't fully reconned. David: Right. I think that's what they're talking about here. It's really fascinating. 8.9 Questioner: How many of these craft does the United States have? Corey: Right. He didn't say “governments”. David: He didn't say “military-industrial complex”, and we're already dealing, as you said, with a breakaway civilization – the ICC. How far along were they at this point, 1981? Corey: They were pretty far along. They had developed a lot of the technologies and were figuring out how to disseminate it to some of these other fledgling programs. David: Was the United States still in control of the ICC by 1981? Corey: The U.S. is not in control of the ICC. David: That's what I wanted to have you say. Corey: Right. The ICC is some super board made up of retired members of all these different military complex companies . . .
Corey: . . . from different countries that are part of the board that make decisions that no one in the, or hardly anyone in the, American government will ever hear about. David: So the point here is that if they ask . . . You've got to be really careful how you ask the question. The United States by 1981 . . . Would you say that the only thing that the United States is actually controlling might be like the lower-level military space program? David: Okay. That's what I thought, because this doesn't quite line up with everything else. Because as it turns out, what they say here is the only stuff the United States was controlling in 1981 directly was robotic unmanned weapon craft. And that comes up here. Ra:... The United States has five hundred seven three, five seven three  at this time. How does that line up with anything that you know? You've never seen this before. Corey: That's not a stretch of the imagination if they are including drone craft, which they had very early on. Corey: There was a lot that they were trying to overcome with shielding in outer space for astronauts or space program participants, so there could have been a very large number of unmanned craft. They are in the process of adding to this number. [Other countries are not mentioned, including Russia] nor breakaway military complex. 8.10 Questioner: What is the maximum speed of one of these craft? Ra:... The maximum speed of these craft is equal to the Earth energy squared. This field varies. The limit is approximately one-half the light speed, as you would call it. This is due to imperfections in design. Are you familiar with there being drone craft that may be at a lower-level space program level that would not actually be able to get past half light speed unless they go through the Cosmic Web let's say? Corey: Yes. Many of the craft in the beginning that were traveling from sphere to sphere within our solar system they would not be making a trip to Mars in a matter of 20 to 30 minutes. It would take them hours. Corey: And they had to overcome some technical issues and make some scientific breakthroughs before they were able to go superluminal. 8.11 Questioner: Wouldn't this type of craft totally solve, or come close to solving, a lot of the energy problems as far as transport goes? Ra:... The technology your peoples possess at this time is capable of resolving each and every limitation which plagues your social memory complex at this present nexus of experience. I cannot get over how uncanny this account from the Law of One text is as compared to past testimonies on Cosmic Disclosure. It is also difficult for me to wrap my head around just how far technology has advanced a century prior to anyone even thinking about disclosing it to the public. It is aggravating to see just how cold and withholding the factions of the Secret Space Program have been. These organizations possess technology that could end virtually every problem we find here on Earth, and yet they have refused. This is unprecedented and at the same time, frustrating. It seems that those in the SSP consider themselves superior in some way to the rest of humanity that they would choose to sit idle while so many people suffer and die. Though I cannot say this for certain, it seems to be the case. This is the problem we have with the Cabal, and yet this Cabal is even seen as a problem by many of those in the Secret Space Program. In holding this technology back from the rest of the planet, these people have assisted the Cabal in stifling human progress. Not only have they stifled human progress, but according to the Law of One, these people have hindered galactic evolution in the process. It is no small offense when any person or group holds back the progress of others. This evolutionary progress is the right of every soul, and to be a hindrance to over 7.5 billion people is no small matter. When considering the trillions of lifeforms on thousands of other worlds that may be waiting for these people to show respect life, the true nature of this offense begins to reveal itself. That is a karmic tab I would not want to pick up. Corey: It's a very true statement. I know that to be fact from my own experiences. David: We have all kinds of problems. We have all this space junk around orbiting the Earth that's a big problem if we ever try to go out in space more. We have gigantic oil spills. We have huge gyres in the ocean of junk plastic that all needs to be cleaned up. Radioactive waste. Corey: That doesn't even count, you know . . . People dying of diseases every day they don't need to be. Hunger. People going without water. You know, the energy, the so-called energy crisis that you hear about on the news. None of that should exist. Those are all crimes against humanity in my book that they are still occurring with the technology that we have available. David: And isn't it stunning that this was brought through in 1981. Nobody ever got to see it. I bought Book 5 as soon as it came out in 1998. And it was already in there. Corey: It is definitely . . . It's amazing. It's amazing, yeah, that this information was being delivered to . . . I just wish he knew . . . he had asked some different questions, because we could have really gotten some pertinent information for these times. David: Well, there's a lot more, but that's all the time we have for in this episode. David: But you're pretty blown away, huh? It is amazing to me how detailed these descriptions are within the Law of One text. To think that Dr. Elkins initially removed these from the text is understandable, but not so productive. For some, the concept of a Secret Space Program has been a difficult possibility to consider. I cannot imagine what the experience must have been like for Elkins and those who initially encountered this information. To be honest, I did not at all expect to see these subjects discussed in the Law of One. As stated, this level of corroboration is unlike anything I have seen in the past. It seems that from the amount of corroboration we have received, we have a strong case for the off-world situations which Corey Goode has described as being true to life, though our responsible thought process and diligent verification is always necessary. David: You've never seen this before? Corey: Yeah, I'm pretty surprised. I thought there were going to be some correlations. David: But not this much. David: All right, cool. You saw it right here first. This is his live reactions to seeing Law of One data that validates the Secret Space Program. This is Cosmic Disclosure. I'm your host, David Wilcock, and I thank you for watching. At this point, I can honestly say that this is one of my favorite episodes. Not only do we get a level of verification that goes far beyond what many may have expected, but we see that the knowledge being disclosed is not limited to just Corey Goode or the Law of One. This narrative seems to be just as old as civilization on Earth as we know it. Ancient Egypt has some of the most well-preserved evidence of these occurrences. The reference which ancient Egypt, the Mayans, the Hopi, the ancient Buddhist texts, and many other cultures from around the world give us clear signs that the accounts we have heard are extremely significant. Once again, despite the level of corroboration we have received it is always vital that we continue our due diligence of verifying and cross-referencing with other reliable and objective sources so that we can stay knowledgeable and accurate in our learning. In doing this, not only do we ensure that we stay current in our knowledge, we can also remain aware of our role in creating the greatest outcome for our planet, our solar system, and beyond.